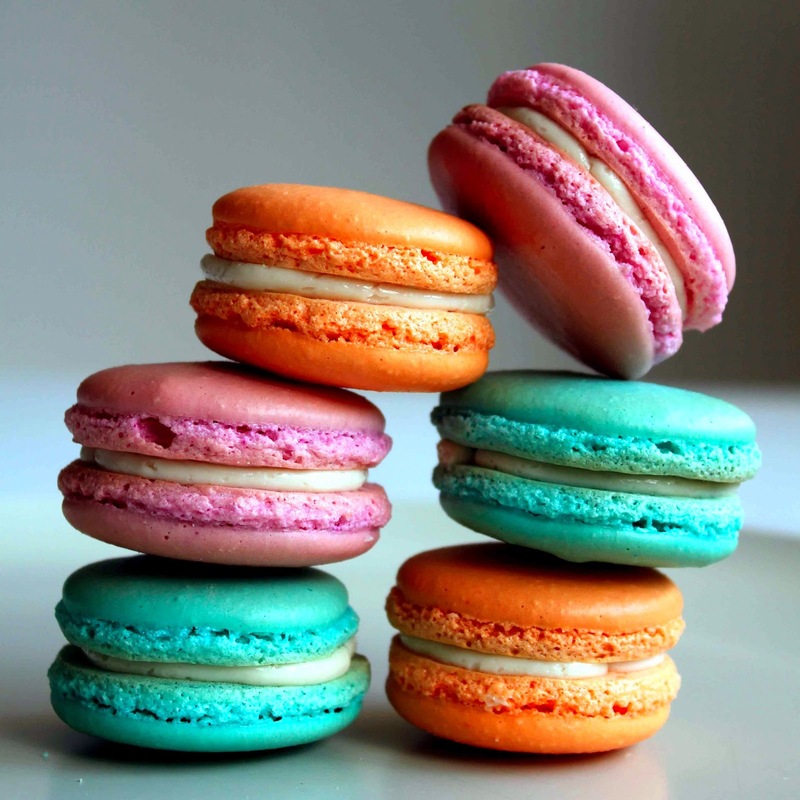 A macaron is a sweet meringue-based confectionery made with egg whites, icing sugar, granulated sugar, almond powder or ground almond, and food coloring. 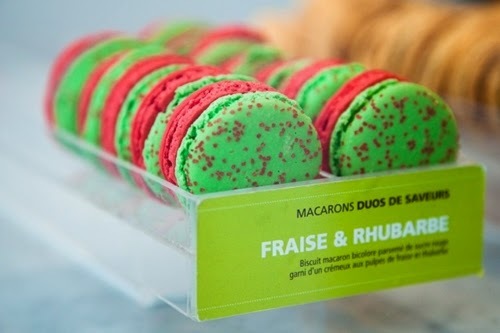 The macaron is commonly filled with buttercream or jam filling sandwiched between two cookies. Its name is derived from the Italian word maccarone or maccherone. The confectionery is characterised by its smooth, domed top, ruffled circumference (referred to as the "foot"), and flat base. It is mildly moist and easily melts in the mouth. 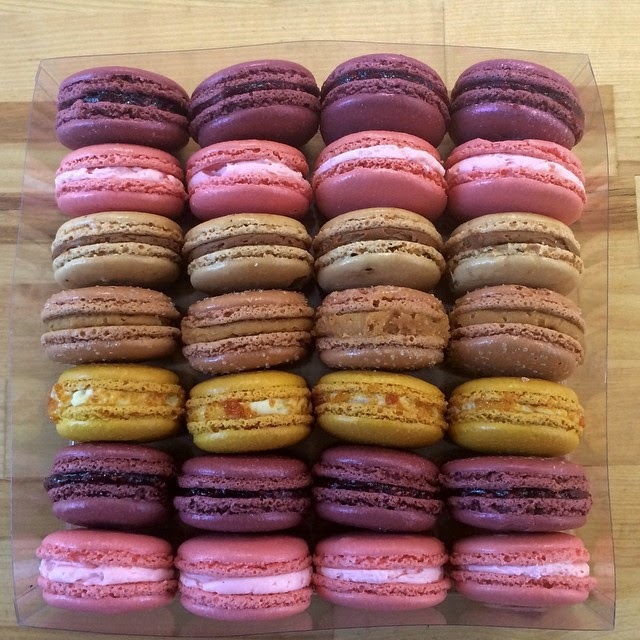 Macarons can be found in a wide variety of flavors that range from the traditional (raspberry, chocolate) to the new (truffle, green matcha tea). 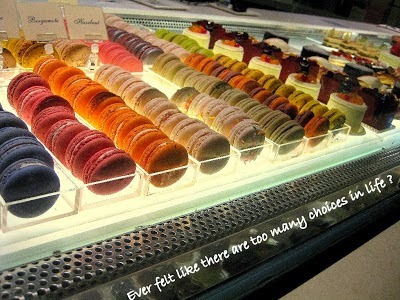 The fillings can range from jams, ganache, or buttercream. 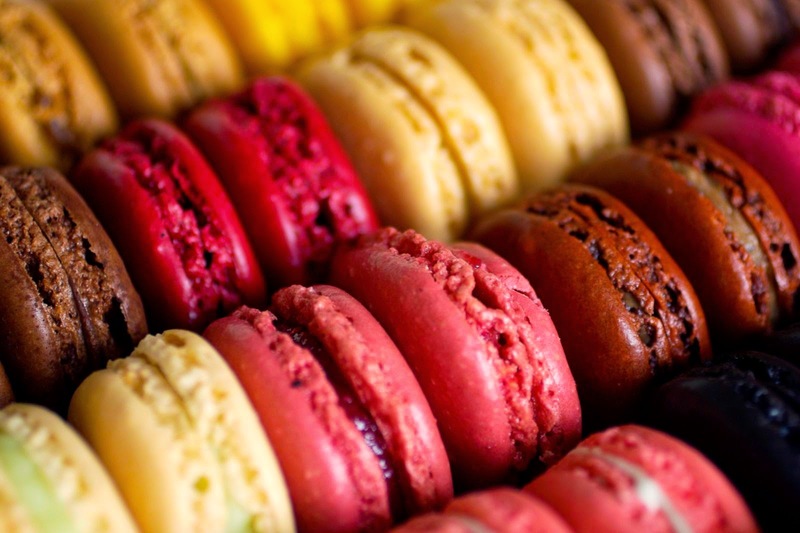 Since the English word macaroon can also refer to the coconut macaroon, many have adopted the French spelling of macaron to distinguish the two items in the English language. However, this has caused confusion over the correct spelling. 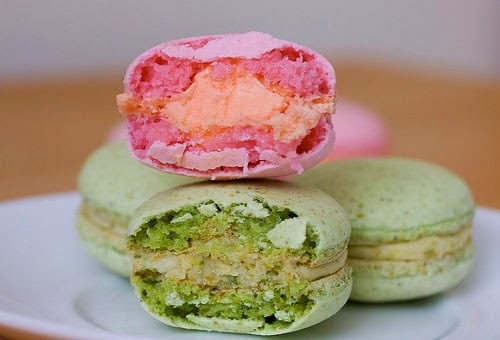 Some recipes exclude the use of macaroon to refer to this French confection while others think that they are synonymous.